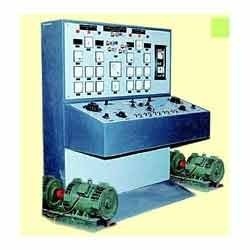 Customers can avail from us a wide range of Electrical Engineering Trainer, which are manufactured using best available technologies. The Over Voltage Relay ( Disc Type ) Trainer kit is a standalone unit useful for the students of Electrical Engineering to understand the operation of an Induction type relay for over voltage protection. 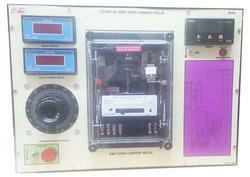 Voltmeter, terminals, indicators, Variable AC Supply, ON-OFF Switches, timer display,& protection circuit etc. are all housed in an elegant cabinet with an intelligently designed layout on the panel. A comprehensive Instruction Manual complete with Theory, Operating details, block/circuit diagram, Observation table, etc will be supplied along with the unit. * To study the construction of relay. * Test an induction disc relay in over voltage protection scheme. * To Observe the Operating Current and De-operating voltage of the disc. 230V, Single phase 50Hz AC. Auto Range 0.0001 to 9999 sec. Trainer kit for studying Brush Less DC (BLDC) drive operation. The kit comprise of 48V SPMS, three phase inverter, 48V, 4000rpm BLDC motor, 500ppr encoder and microprocessor based digital controller with panel size 410 mm x 320 mm. The kit works with directly 230V; 50Hz AC supply and all measuring meters are connected externally. To study switch change-over mechanism using Hall Sensor Feedback. To study BLDC motor speed control using PWM technique. To study Open loop control of BLDC motor with Hall sensor feedback. To study closed loop speed control (PI control) of BLDC motor with Hall sensor feedback. To study closed loop speed control (PI control) of BLDC motor with encoder feedback. 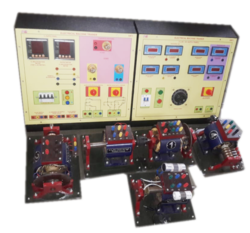 Induction Motor Series Generator Lab is a training system designed to provide comprehensive learning and functioning of a DC Series Generator. 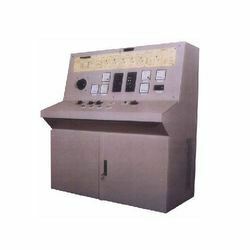 It can be used for performing various experiments like Operating Characteristics, Terminal Voltage v/s Armature current (V-I) Characteristics and Load Characteristics, etc. All protection circuits are inbuilt, so there is very less chance of fault or danger. The Ward Leonard System is basically used to control the speed of a DC Shunt motor by controlling its armature voltage. 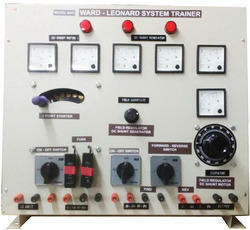 The Ward Leonard System consists of a Primover coupled to a DC Generator. The DC Generator output is fed to the armature of separate DC Shunt motor called as the Control Motor. By controlling the Field Current of the DC Shunt Generator, armature voltage of the Control motor can be controlled whereby the speed of the control motor can be varied. The unit consists of a DC Shunt motor as primover, coupled to a DC Generator and a DC Shunt motor as Control motor. All motors are rated at 2HP. 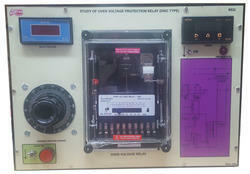 The control panel consists of Starter, Voltmeters, Ammeters, RPM meter and Field Supply and Control. Ammeter ( 02 Nos ) - To read the Armature and Field Current. FWD / REV Switch - To reverse the Field current thereby reversing the direction of Control motor. RPM Meter - To read the RPM of the Control Motor. 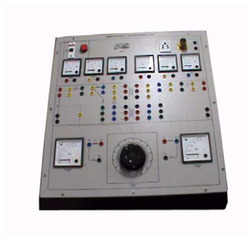 The DC Machines consists of Shunt, Series and interpole for two poles. Series field and interpole windings are inter-connected. All the connections of armature and field are brought out on terminal plate . Working voltage—110V DC, 300W. 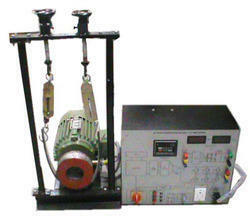 Such two machines are provided where one is used as motor / primover and other as generator. · The Panel is made of MS steel and powder coated. · Backside of panel board provided with door and locking arrangement. · Digital DC Voltmeter ( 48 x 96 ) for reading the DC supply fed to the motor. · Digital DC Ammeter ( 48 x 96 ) to read the DC current drawn by the motor. · Digital DC Voltmeter ( 48 x 96 ) to read the DC Voltage generated from the generator. 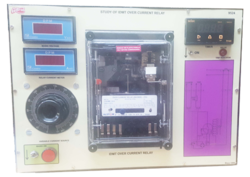 · Digital DC Currentmeter ( 48 x 96 ) to read the DC Current supplied to the load when Generator is connected to the load. 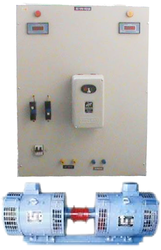 · 2 pole MCB for incoming AC supply. 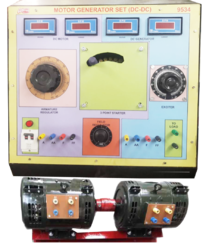 Being a quality focused name, we manufacture and supply the best quality of Transmission Line Simulator with Protection System. Its high performance and low maintenance, make this simulator highly demanded. 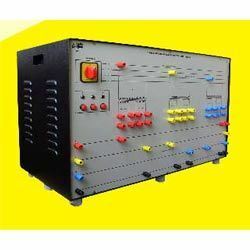 As per the needs and requirement of our patrons, we offer this line simulator in various particulars. Arranged by Time Relay dividing the complete T.L in three sections. Suitable tap points are provided with fault creating ON / OFF Switches for study of protection schemes arranged as above one at a time. Keeping the updates of latest happening of this domain, we manufacture and supply the best quality of Make Adtron Single Phase Transformer. Its high performance, electrical & thermal stability and compact design, make this single phase transformer highly demanded. For the purpose of meeting the precise needs of our patrons, we offer this transformer in various specifications. 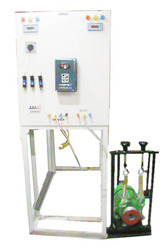 ADTRON’s Electro Pneumatic Trainer – Basic Model 4030, is a very versatile self – contained training package for the teachers and students in advanced pneumatics. It is designed for fail – safe operation and ease of learning. ADTRON’s Advanced Pneumatic Trainer meets the requirements of providing practical “HANDS ON” training and can be used both as an experimental kit and as a demonstrator. 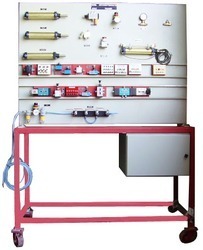 Various basic / advanced pneumatic circuits can be built easily due to special design of the trainer. The commonly used industrial pneumatic components and some electro – pneumatic components are provided for preparing various pneumatic circuits. Many experiments can be performed. A detailed and comprehensive instruction manual is provided along with the trainer. * Air filter, Regulator & Lubricator Unit ( FRL Unit ) : 01 No. Valves for multiple connections : 02 Nos. The IDMT Over Current Relay Trainer kit is a standalone unit useful for the students of Electrical Engineering to understand the operation of an Induction type relay for over current protection. Meters, terminals, indicators, knobs, timer display, Loading transformer, measuring CT & protection circuit etc. are all housed in an elegant cabinet with an intelligently designed layout on the panel. A comprehensive Instruction Manual complete with Theory, Operating details, block/circuit diagram, Observation table, etc will be supplied along with the unit. Inbuilt variable current 20 amp at 5 volt AC. Current output is continuously variable and the output is taken out thorough a C.T. Double winding loading transformer of suitable burden to provide corresponding current output specified before. 2. DC Shunt Generators of of 1KW capacity. The Motor ( Primover ) and Generator are mounted on a common rail and coupled using flexible coupling. · Digital DC Current meter ( 48 x 96 ) to read the DC Current supplied to the load when Generator is connected to the load. Study of Running and Reversing of Three Phase Induction Motor. Study of No Load Test performed in a Three Phase Induction Motor. Study of Block Rotor Test performed in a Three Phase Induction Motor. Measurement of Slip in a Three Phase Induction Motor. Study of Speed-Torque characteristics in a Three Phase Induction Motor. Adtron’s Slip Ring Induction Motor lab is a versatile, and standalone system. 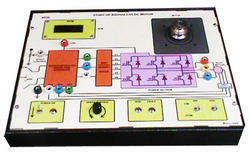 It is an integral part of the Electrical Machine laboratory with this system. Various experiments on Slip Ring Induction Motor. The system is housed in an elegant cabinet with a well spread intelligently designed layout on front panel. The unit is supplied with a comprehensive Instruction Manual Complete with theory, Operating details, observations, connection diagrams, etc. Brake Drum Pulley : Aluminium Casted. The Numerical Over Current Relay Trainer kit is a standalone unit useful for the students of Electrical Engineering to understand the operation of a Numerical type relay for over current protection. 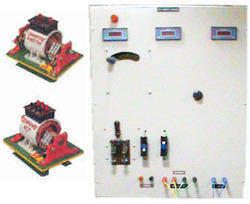 Meters, terminals, indicators, knobs, timer display, Loading transformer, measuring CT & protection circuit etc. are all housed in an elegant cabinet with an intelligently designed layout on the panel. A comprehensive Instruction Manual complete with Theory, Operating details, block/circuit diagram, Observation table, etc will be supplied along with the unit. Double winding loading transformer of suitable burden to provide corresponding current output. Since the inception of our company, we have been able to manufacture and supply the optimum quality of Three Phase Measurement System. By using sophisticated machinery, we manufacture the offered measurement systems in accordance to the industry set norms. The study of measurement of different parameters in three phase star and delta configuration is done using the offered measurement system. Powder coated metal cabinet with a well spread intelligently designed layout. Backed and supported by years of experience of this domain, we offer the best quality of Alternative Parallel Operation Training System. Owing to its ease operation and robust construction, the offered alternative parallel operation training system is highly demanded in the market. In addition to this, the offered training systems is available with us at cost effective prices. Looking for Electrical Engineering Trainers ?